Justmeans news and articles are also distributed and republished throughout the 3BL Media network of highly targeted category specific websites, news portals and databases. Content is distributed through mainstream news channels including various Reuters channels, Bloomberg, AP, and hundreds of affiliates and syndication partners. Founded in 2004, Justmeans rapidly became the fastest growing online community for engagement on the topic of corporate responsibility. Justmeans was acquired by 3BL Media in 2011, and has since expanded its editorial coverage, significantly increasing its coverage and readership. Insight and Analysis: Daily commentaries on topical issues, written by Justmeans editorial staff. Top Stories: Three curated Justmeans articles are selected and featured on a regular rotation. • Original articles published weekly, written by an international roster of staff writers with experience in the subject areas. The focus is on initiatives, innovations, partnerships, events, and missions that address the urgent issues of the day. • Also published are guest blogs by CEOs, professionals and experts in the various subject areas, and independent commentators. • These posts are also selectively published at 3blmedia.com, as News Highlights on the home page, and as CSR/Energy/Health News in their respective sections. CSR, Energy, and Health Videos: Video essays that explore themes, trends, innovations, and developments in these rapidly evolving sectors. Individual Company News: Individual company-authored press releases, blogs, articles and multimedia provide the latest updates specific events and initiatives. Justmeans Newsletters: Published several times weekly, the newsletters reach a subscriber base of more than 200,000 media, professionals, practitioners and consumers. Jobs and Calendar of Events: The Justmeans website includes a comprehensive Calendar of Events related to the covered subjects, and a searchable Jobs Board in those fields, with substantial “help wanted” listings for job seekers. Justmeans.com is managed by Editorial Director John Howell, whose journalism experience as an editor and writer includes senior positions and published articles at Elle, Artforum, Hearst Magazines, the New York Times Magazine, Interview, the Los Angeles Times, and others. 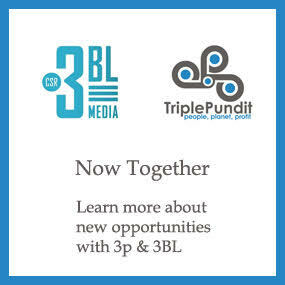 Howell can be reached at jhowell@3blmedia.com.